Piazza della Repubblica is one of the main squares in Florence and marks the center of the city since Roman times. The Colonna della Dovizia or also known as the Column of Abundance marks the point where the cardus and decumanus maximi met and where the Roman forum stood. Galileo Galilei has been called the “father of observational astronomy”. Michelangelo di Lodovico Buonarroti Simoni. Italian sculptor, painter, architect and poet of the High Renaissance born in the Republic of Florence. Dante Alighieri was the major Italian poet of the Late Middle Ages. His Divine Comedy is widely considered the most important poem of the Middle Ages and the greatest literary work in the Italian language. Dante Alighieri was the major Italian poet of the Late Middle Ages. 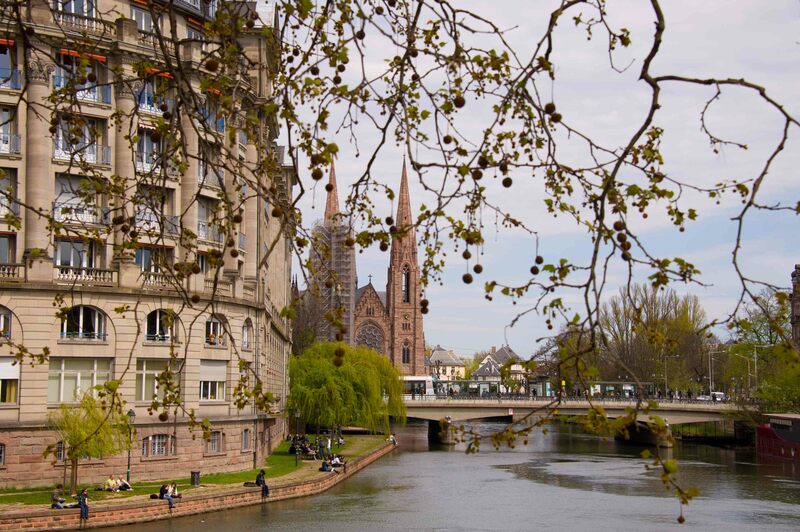 Strasbourg – one of three modern capitals of the united Europe. For a mixed feeling is the architecture of the city – whether it’s France, or Germany. Today it is a French city, but a lot of things say about its German origins and complicated history. In Europe, all intertwined, many times altered and redistributed among the States, and therefore a matter of respect to a reasonable solution to unite and wipe on the possibility of conflicts between European States. No borders, no borders patrols, no boring looks suspicious border guards. That creates a comfort, it relaxes and allows the person to feel at home, it creates a sense of freedom and harmony. In contrast to Germany Munster, major Cathedrals in all French cities are Notre-Dame. 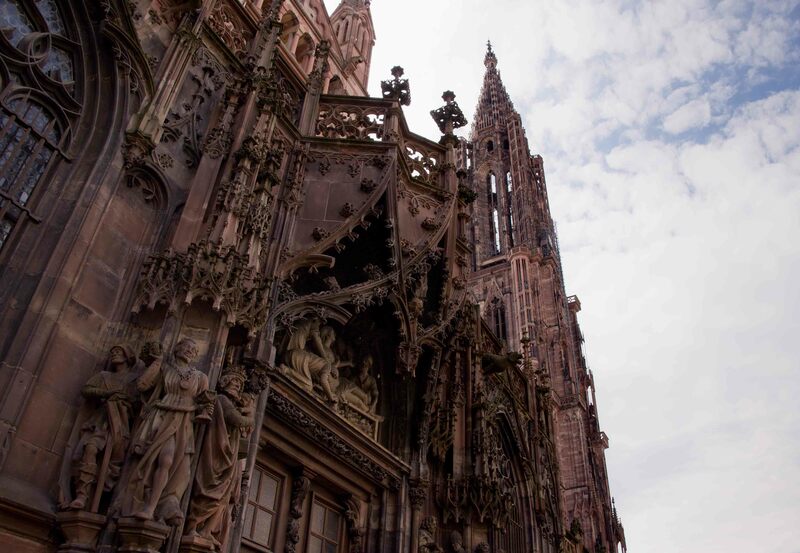 The Strasbourg Cathedral is striking in its threaded jewelry. Talented artists carved all items with a particular sophistication. It is hard to imagine that all this is made out of stone. From the distance at which the eye is not focused on the details, the whole structure looks like a skeleton covered with lace. Music in Stone – otherwise it cannot be called! The sculpture, which cover Cathedral, inscribed harmoniously into the overall design and, therefore, is complex as a whole. Needless to add, but nothing can be separated. It is perfect and finished form. A very important feature and the main difference of Western countries is the people. Looking at them gives the impression that the problems do not exist for them, all they have is good and everything is arranged. No one worried face, smile and just an open mind, tolerance for everybody and everything, and no bitterness, and even more aggression. Life flows slowly. Hustle and bustle is not observed. But why spoil life for themselves and others? Such a feeling that in Europe the only river is Rhine. It dodges, twists, making its way through many European countries. 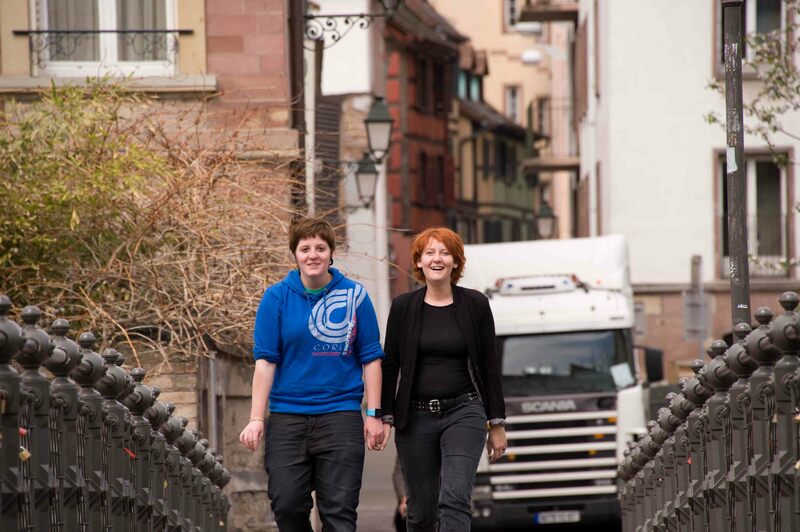 Here in Strasbourg, it is the main artery. 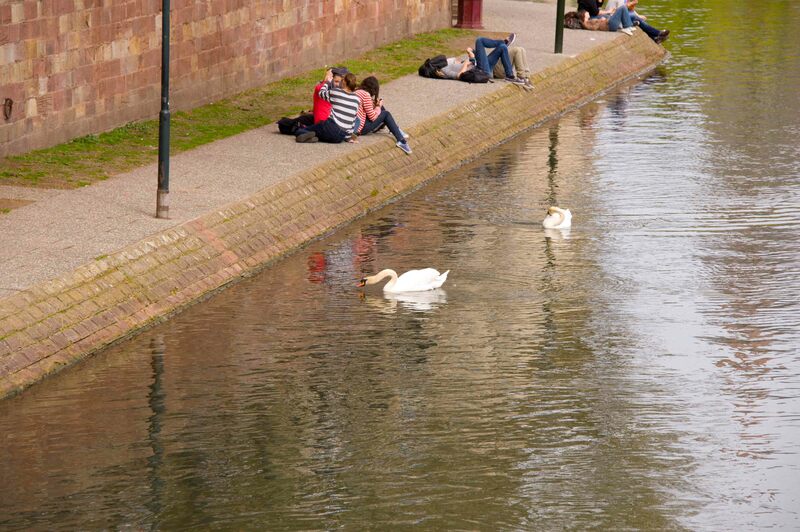 Beautiful strong embankments, gardens on the banks, numerous swans and other waterfowl, couples, students and just resting citizens sit on the benches and swim in pleasure boat on this beautiful river. One of the strangest and at the same time, reminiscent of old Germanic origin of place is the area of ​​the Little France (Petite-France). For the French city it is strange presence of the district with the same name. 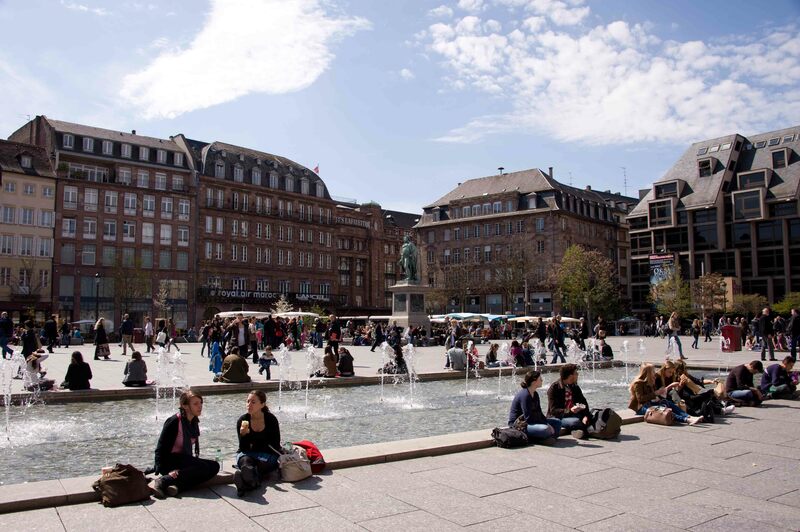 But lost in the historical roots of the city, it becomes clear that the presence of French in the German city area looks quite normal. Extensive search of the place finally crowned with success, but something special, seemingly releasing this part of the general urban ensemble could not be found. Just pretty nice quarter. The rest, of course, a huge city. Given its current status, there are many different European institutions and, accordingly, finance, thus maintaining it in proper form and makes it an important place in all aspects. 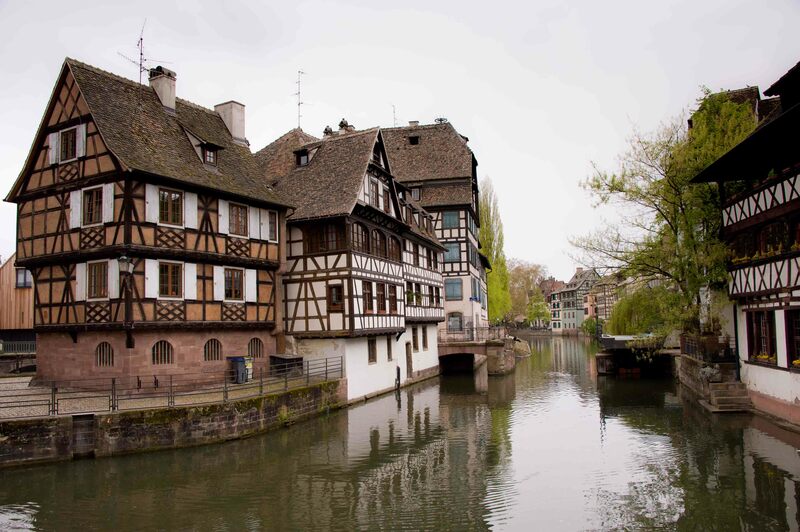 Photo gallery Strasbourg ( City , People , Cathedral , Little France ).